Moving & packing can be overwhelming. Trying to figure out how many moving boxes you need for your next move can stress you out even more. We put together the below calculator to help you get an estimate of the total number of boxes you will need to purchase in order to properly pack up your home. You can choose from 3 different sizes of homes. Small Apartment or Condo – Choose this option if your room sizes are typical of an apartment or condo, meaning they are a bit smaller than that of a single family home. Overall, your home will typically be less than 1200 square feet and have 1-2 bedrooms. Normal Size Home – Choose this option if your home is a typical single family home with standard room sizes. Overall, your home will typically be between 1200 – 2500 square feet and have 2-4 bedrooms. Large Size Home – Choose this option if your home is a larger home than most, with oversized rooms that hold more personal belongings that need to be packed up. Overall, your home will typically be be over 2500 square feet and have 3-5 bedrooms. Also, not everyone has the same amount of belongings in their house. There is quite a difference between someone who only keeps the bare minimum and someone who could be on an episode of AE’s Hoarders! You can adjust the amount of moving boxes you will need to buy when you select one of the following. Minimalist – Choose this option if your home has only the necessities and your moving box requirements will be reduced accordingly. Normal – Choose this option if your home has what most would consider to be a standard amount of personal belongings appropriate with living in a home. Boarderline Hoarder – Choose this option if your home is jam packed with your “stuff”. It happens, over time we accumulate a lot of personal belongings and this is a judgement free zone. Keep in mind, this calculator is an good starting point for you. If you have a basement, attic, garage or other rooms that need to be packed up, then adjust the results accordingly. Be sure to check out our guide if you need to know "Where to Buy Moving Boxes" and see our reviews of the best options for you to choose from. Now that you have your estimate for the number of boxes you will need to buy, don’t forget about packing supplies. Packing Paper – an economical way to protect fragile items when packing. Bubble Wrap – a plastic packing material in comes in sheets that contains numerous small air cushions designed to protect fragile goods. Shrink Wrap – is a a heavy duty version of Saran wrap that you use in your kitchen. It is used to wrap up items closely and protect them at the same time. About the Author: Kris Lippi is the owner of ISoldMyHouse.com and the broker of Get LISTED Realty. He actively writes about real estate related topics such as buying and selling homes, how-to guides for around the house and home product recommendations. 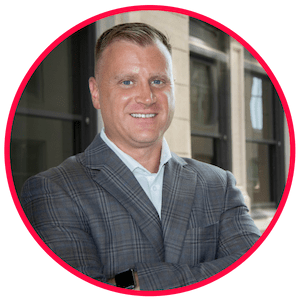 He has been featured in Inman, Readers Digest, American Express, Fit Small Business, Policy Genius, Lending Tree, GoDaddy, Manta as well as other major websites. Read more about us here. Please check your email for our the secrets. But please keep them to yourself!